Here's some fun weekend events taking place January 25th through January 27th. Rev up your weekend with some non-stop fun as Disney on Ice makes it's return to Buffalo with "Worlds of Enchantment." Featuring all of your favorite characters from classics such as Toy Story and Little Mermaid, you'll experience the ice transform into the world of Disney magic. The show continues through Sunday at the KeyBank Center. "Deathtrap" is on stage at the Lancaster Opera House. This is the final weekend to catch the suspenseful thriller about a playwright and his student. Friday's show begins at 7:30pm. NHL All-Star Weekend continues Friday with the Skills competition, which starts at 6pm. The actual game is Saturday at 8pm. This is fourth straight All-Star game that will use a four-team, 3-on-3, single elimination format, with one team representing each of the league's four divisions. Head outdoors for a great game of kickball, yes a Winter Kickball Tournament is taking place Saturday. It's all for a good cause, with proceeds going to support the Buffalo Olmsted Parks Conservancy.The tournament is at Delaware Park, with check-in at 8:30am and games beginning at 9. In music, the BPO is celebrating Mozart's birthday this weekend.Come enjoy one of Mozart's greatest symphonic works in 'Mad About Mozart' Saturday or Sunday at Kleinhans Music Hall. If you arrive an hour early to either performance, you can hear directly from the artists as a part of the "Musically Speaking" series. Another incredible concert, "Material Girls", will be at the Riveria Theatre Friday. This show highlights performers who pay tribute to Cher, Madonna, and Lady Gaga. It all starts at 8pm. Over at Helium Comedy Club, Los Angeles-based comic, Cameron Espositio, is in town. In addition to being a headliner on national tours, you may have seen her as a gust on many TV shows, or on her newly released comedy special. She has two shows Friday and two more on Saturday. Lumagination returns to the Buffalo Botanical Gardens Saturday. This is the unique event where the interior of the Botanical Gardens is illuminated to create a stimulating atmosphere for all ages. This year, you can expect to see colorful and creative lighting, dancing silks, bouncing paper cranes, hot air balloons and kites of all sizes, and metallic mobiles to name a few. If you want a sneak peak, head to the Launch Party Friday night from 6:30pm to 9pm. If you want something to stimulate your taste buds, check out the Buffalo Wine and Chocolate Festival. Saturday from 1pm to 8pm, the Buffalo Grand Hotel will be home to wineries, distilleries from across the region.In addition to great drinks, there will be plenty of tasty treats in the Candy Bar. And you'll also be able to get some shopping done too with the help of the many mini boutiques featuring purses, jewelry, clothing and more. Head outdoors to enjoy the winter weather at the 5th Annual Larkinville Ice Festival. Larkin Square will feature a vendor market on the heated boardwalk, plus kids activities, an ice sculpture, performances by The Bird's Nest Circus Arts, and much more. You can explore the neighborhood through horse drawn carriage rides and grab a bite to eat at participating restaurants. It goes from 11am to 3pm Saturday. "Come on down"... to the Price is Right Live at Seneca Niagara Resort and Casino. Friday and Saturday come take part in the legendary game show by being a member of the audience... where you may even get a chance to win some great prizes playing favorite games like "More or Less", "Bonkers" and "Plinko". You will need to come early if you want to get your name tag and a chance to be selected to play though. Registration will be open 4 hours prior to show time. 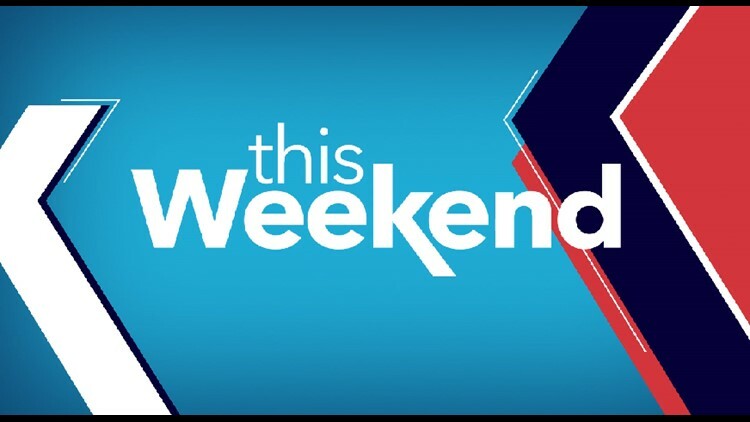 For more weekend events, tune into "This Weekend" every Friday at 11:30am on Channel 2 WGRZ.